Covering all pathways which encompass business, engineering, computing, hospitality and art & design, the event saw the likes of partners from IBM, Microsoft, PwC and Intel who have worked closely with INTI over the years in providing students opportunities to engage with industry and hone their academic and practical skills in a real life setting. Each year, INTI works together with industry partners to ensure INTI’s curriculum across the various pathways from art and design to engineering are industry-relevant. The Industry Advisory Board meeting brought together industry and faculty members to discuss the gaps in graduate outcomes and solutions that can be implemented to prepare students for the real working environment. Zooming into specific disciplines, industry partners and faculty members were divided into small cluster groups to discuss and present ideas for the topics provided in relation to their specific area. Some of the relevant discussions that took place included topics like current industry trends, challenges in employing fresh graduates and creative ways INTI can collaborate with industry to give students a better understanding of industry expectations. “We must build “Global Warriors” with skills that transcend borders, such as the ability to communicate with people of diverse culture and background. It’s not so much what you know, but who you are,” shared Peter Wee, Managing Director of Ricoh Malaysia during his keynote address on the future of business and how leaders need to be more in tune with people skills rather than just knowledge and technical skills. “Our engagement with industry includes their input into the curriculum, internships, job placements and career preparation workshops among others. One of our key highlights is our collaboration on employer projects where our students get a chance to work on real industry problems and propose solutions or changes to these industry partners. 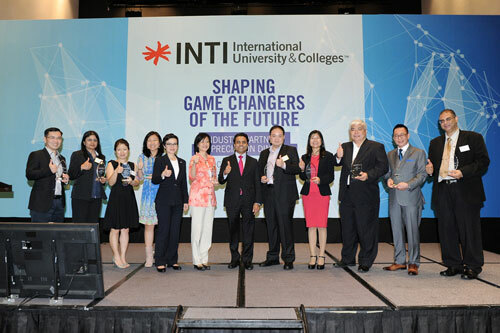 These initiatives have contributed tremendously to 78% of INTI’s graduates receiving higher pay than the average market,” shared Rohit Sharma, CEO of INTI. To date, INTI has collaborated with 400 over industry partners on various initiatives and INTI students have successfully attained 100% internship placements in 2015. Students have also completed 133 employer projects across various disciplines this year. These industry partners are among those INTI has collaborated with over the years in providing students invaluable industry experiences. 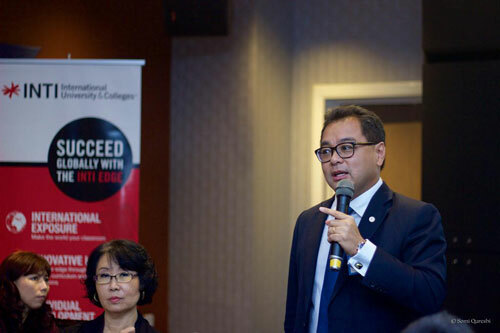 INTI has worked closely with its industry partners through its Enrolment to Employment (E2E) initiative which encompasses a wide range of collaborations from leadership talks to mentoring sessions. These have contributed tremendously to INTI’s graduate employability of 97% where students successfully attain jobs within 6 months upon graduation.